This is the time each year when you can make changes to your health insurance coverage-usually through the Healthcare Marketplace (healthcare.gov). When can I enroll or make changes to my plan? Open enrollment for ACA (“Obamacare”) insurance plans for the 2019 coverage year runs from November 1st– December 15thin most states. Some states have extended open enrollment periods. 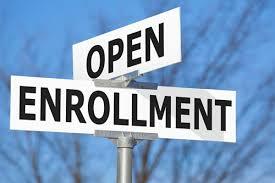 For more information about your state’s enrollment dates click here. Who can buy coverage through healthcare.gov? Any individual who is a citizen or lawfully present in the country who lives in the United States can buy health insurance through the Healthcare marketplace. Individuals and families with lower incomes may be eligible for premium subsidy and cost sharing assistance. What do I need to consider when buying a plan? It’s important to weigh your healthcare needs with the coverage offered by each plan.Remember that much of insurance is planning for the unexpected. At this time, Marketplace plans are required to cover pre-existing conditions. It is also important to think about what level of risk you are comfortable with. If you feel like you are pretty healthy, you may want to roll the dice and elect for a less expensive plan on the front end—knowing that if you do get sick, your costs will be much higher on the back end. 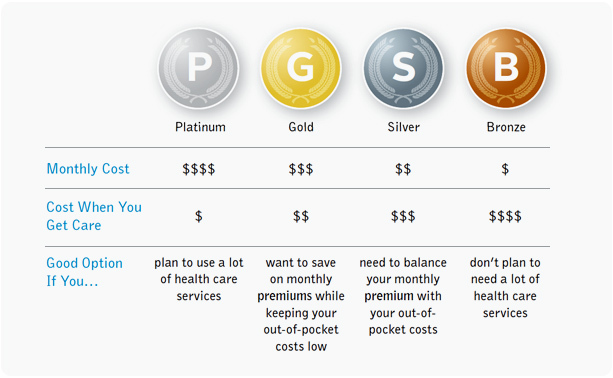 Always do the math: add you premium cost + deductible + co-insurance/co-pay’s. Then subtract any premium and cost sharing subsidies. This will give you a general sense of you out of pocket responsibilities. The best place to start is www.healthcare.gov. This will also guarantee you will be receive any premium and cost sharing subsidies you may be eligible for. If you purchase a plan directly from an insurance company or from a broker you will not be eligible for premium and cost sharing subsidies. What else do I need to know about the ACA for 2019? 2019 marks the end of the “Individual Mandate.” This was the part of the Affordable Care Act that required all individuals to have health insurance and charged you a penalty if you did not. Beginning in 2019, you will no longer be required to have health insurance or have a penalty assessed. “Short term plans” are now available for purchase and will be available for 2019 in most states. They are currently not available in New York, New Jersey, Massachusetts, Rhode Island, Vermont. In 2019 they will not be available in these states and in California. Short term plans may be attractive because they typically have lower premiums than Marketplace plans. However, buyer beware. The coverage can be extremely limited. Short terms plans are not required to meet ACA minimal plan standards or to cover preventive care. Short term plans are not required to cover pre-existing conditions. Short term plans can have annual and life time caps. If you purchase a short term plan and decide you don’t like the coverage, you can’t drop it and trigger a “special enrollment period” to purchase insurance through the Marketplace outside of the open enrollment period. Short term plans are time limited, but can be renewed. The time you can be covered by a short term plan as well as the number of times you can renew is dependent on the state you live in. For more information about short term plans, see this article from healthinsurance.org. If you are thinking about buying a plan or changing your coverage through the Healthcare Marketplace, it’s important to do your research, compare plans and do the math. Think about all the potential what ifs and what if nots when weighing your options. You can also get help applying for insurance here. Christina is a clinical oncology social worker who joined the OncoLink team in 2014. Christina blogs about resources available to the cancer community, as well as general information about coping with cancer practically, emotionally, and spiritually. Christina is an avid knitter and spends a great deal of time posting pictures and stories on social media all about her three beagles, Linus, Maggie and Huckleberry. She also loves to travel, cook and is an avid Philly sports fan. This entry was posted in Christina's Resource Round-up!, Homepage, OncoLink News and tagged 2019, Affordable Care Act, health insurance, insurance, Obamacare, open enrollment. Bookmark the permalink. ← Do I need to protect my skin in the cold?